I wanted to read this book because I've heard good things about the author and lately, I've been finding myself more interested in books that deal with magical worlds and new creatures. But I want to be honest and say that by the end of this book, I wasn't really interested in finding out what comes next. Let me tell you some of the aspects I did like about this book, and then you can decide for yourself. I'd love to hear some comments and see whether I'm just way off base on this one! First off, I loved all of the different characters within the book. Dwarves, elves, and horses that talk - they all work together to keep peace within the land under the leadership of the Peacekeeper & Princess, Shayleah. Shayleah's strong will, determination and her ability to preach tolerance makes her a fantastic lead character. Unfortunately, having too many characters also hurt the novel, as I found it hard to keep track of who and what everyone was. I also enjoyed the second half of this book (way more than the first) because once the action started rollin' and bad guys emerged, I felt like you could finally get sucked into the world that Spletzer is writing about. The description of the Veil is absolutely stunning and I truly enjoyed her laid-back writing style that made the story both easy and quick to read. 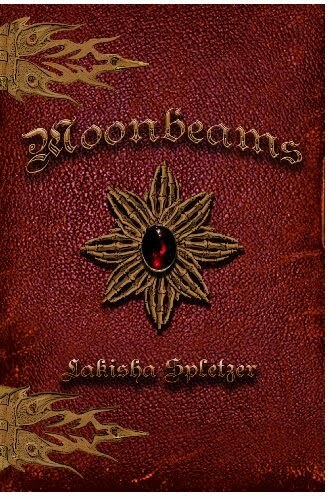 My advice this time around: read a different Lakisha Spletzer novel first and see what you think of her writing style. Then, try out Moonbeams. I just don't think this should be the first book you read of hers. But let me know what you think!! You are never off base with how you feel about a book! Thanks for sharing your thoughts. But what about it made you not want to find out what came next?